Although casters are one of the smaller parts that make up a material handling cart, they play an integral role in how that cart will move efficiently and safely. Also, premature caster failure can impact the company’s bottom line. Caster technology has come a long way in the last several decades. Yet, still companies are challenged by caster problems which occur during manual material handling tasks. Caster problems can negatively impact ROI due to the recurring cost for caster replacement. Additionally, caster replacement can mean impaired productivity due to machine downtime. There are many reasons a caster can fail but the one that comes up most often is: choosing the wrong caster in the first place. Many times, casters are selected based on upfront cost. What is not taken into account is that an inexpensive caster purchase can cost you much more in the long run if it is not the right caster for the application. Multiply the caster replacement cost by the number of that specific caster you own and add in the loss of productivity when those carts or equipment are down… you may find that you had wished you had done more research to choose the correct caster at the beginning. The main reason that casters fail in the field is the load capacity applied to the caster exceeds its rated capacity. To avoid this pitfall, consider the heaviest load that will be used in the application. Due to situations arising from un-even floors or bumps etc. 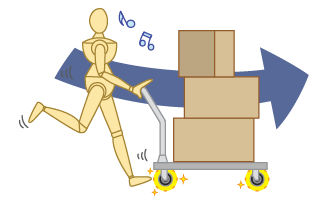 it is possible that a four wheeled cart may have only three wheels actually absorbing the full load. A safety factor based on the use of three casters is therefore used to address this which means that if the load capacity is 2,000 lbs., a caster with a load rating of at least 667 lbs. is recommended. Impact loading occurs when a caster hits a large obstacle or bump and experiences the resulting g-forces. This means that if a caster with a load capacity of 100 lbs. hits a bump and experiences 5 g, it’s as if the caster is carrying 500 lbs. at that moment. This impact load can cause a catastrophic failure of the caster due to the peak g-forces which cause the caster to bear a higher load than its rated load capacity. Brinelling is the dent or “wear” that is pressed into a hard surface. Brinelling occurs in a caster when the ball bearings in the swivel head begin to develop grooves in the hard cap. Brinelling affects the performance of the swivel of the caster by increasing the swivel force. Swivelling forces are typically the largest mobility force that a material handling cart will experience. Excess swivel offset in a caster is generally due to a design flaw. It refers to the distance between the center of the axle and the center of the king pin or main rivet being too great. Having an excessive swivel offset creates a situation that when a load is applied, the legs of the yoke may break away from the swivel.  There is a fine balance between a large enough offset that ensures ergonomic efficiency while short enough to ensure joint strength is not compromised. Working with a competent design and engineering team can assist in ensuring optimal offset is achieved. Bearings are the part of the caster that limits movement to preferred motion and reduces friction between the moving parts within the caster. Using the wrong bearing type for a specific application can also be a cause a failure. For example, an application experiencing high side thrust. A tapered bearing would best be utilized. Improper bearing selection will cause premature failure of the caster. Various considerations should be made such as; bearing material, race construction and accessibility for maintenance if required. Environmental conditions can cause a caster to fail. In wet environments, using casters that don’t have stainless steel or chrome finishes, which are well-suited to these environments can lead to to corrosion. With corrosion comes the weakening of the caster components and increased risk of caster failure. Other environmental considerations include: surface characteristics (rough, uneven, slope etc.) and debris or other contaminants.  Our Workplace Ergonomics Guide sheds light on more environmental conditions that could impact your choice of caster. High speeds can cause many issues with casters that weren’t designed for that specific application. Catastrophic failures can occur due to caster overheating, damage to the caster wheel hub, or damage to the bearings. Understanding the speed at which the caster will be used in its intended application will help you choose the right caster.  For instance, you would need a much different caster for a manual material handling cart vs. a towable cart which can experience speeds in excess of 5 miles per hour. The function of the top plate of a caster is to provide secure attachment to the structure, protect the wheel and ensure the wheel direction is maintained. Having a thin top plate or one that isn’t hardened steel can make it very easy for it to bend out of shape potentially compromising both the load capacity and the directional intent of the caster. This condition mainly occurs when a caster goes over an obstacle and is damaged by the resultant impact. More robust and hardened top plates eliminate this issue. Many casters are designed with the use of a rivet or kingpin bolt. These components generally have much of the stress concentrated on them when a high load is applied. Because of this, they are prone to failure when used in the wrong application. The solution to this potential issue is to use a Kingpinless caster that distributes the stress over a larger area on the caster. Extreme temperatures can greatly affect the mobility performance of a caster. Many caster wheels are made from a variety of polymers and rubbers, which tend to lose their material properties when introduced to extreme temperature changes. Choosing the right wheel material to correspond with the temperature of the operating environment is the key when deciding on the right caster to use. A great example is caster use in food and freezer environments, which require dependable performance in extreme temperature conditions. 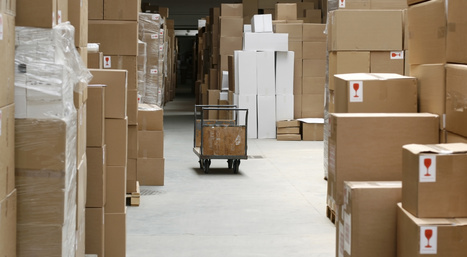 Caster changeover can be costly and can impact your business operations.  Your business needs to cut costs and keep downtime low in order to improve. Choosing the right caster may seem like a minor decision, but by doing it right the first time, you can avoid costly caster maintenance and replacement down the road. By considering the 10 caster pitfalls, you can avoid them in order to choose the right caster for your specific application. To get some guidance on how to choose the right caster for your particular application, check out caster solutions by industry to help you understand how different industry applications require different caster solutions. I have put pneumatic casters on an engine hoist, but the swivel casters require manual positioning to work properly, and don’t automatically move with the load. Sometimes they go in different directions. Can you help? Hi Dean, there is one good option for this scenario, would you be able to attach positional locks that allow you to lock the swivels (essentially making them fixed/rigid casters) so they’re easier to control when maneuvering? Thanks for pointing out that the main reason that casters fail is overloading their capacity rate. You also said that uneven floors could cause the cart to not equally distribute the load. I think it’s a good idea to choose caster wheels that have quality bearings so that they roll smoothly. Thank you for your inquiry. We will be in contact with you by email shortly.